Highs: Brown now leads the league in scoring and assists! Brown was naturally the week’s top scorer and raised his league-leading average to 21 points per game – 4 more than the next closest players! Tibor Pleiss’s 11 rebounds were the most collected by any player in Top 16, Game 2. 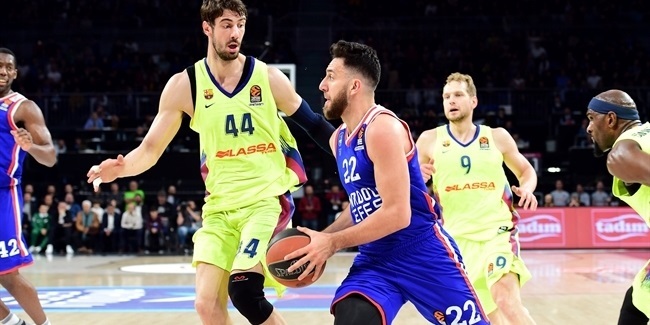 The Caja Laboral center did so off the bench in a 70-71 road win at Maccabi Electra and is now the Top 16 leader in rebounds per 40 minutes (17.6). Damir Markota, with 9 per game, is the Top 16 leader. Emir Preldzic of Fenerbahce had 8 assists to lead all players this week. Brown, amazingly, also leads the league in assists with 5.9 per game. Oliver Lafayette of Zalgiris and Jamon Lucas of Anadolu Efes each recorded 4 steals to lead the weekly standings. Lucas is third in the league with 1.83 steals per game. Hickman tops the charts with 2.17 per game. 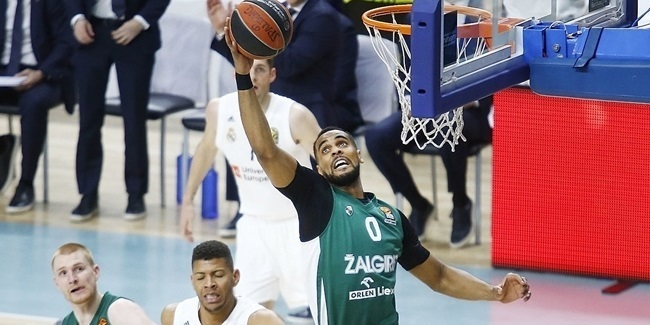 Five players – Mirza Begic of Real Madrid, Paul Davis of BC Khimki Moscow Region, Semih Erden of Anadolu Efes, Shawn james of Maccabi and A.J. Ogilvy of Brose Baskets – share the weekly high with 3 blocked shots. Panathinaikos big man Stephane Lasme remains the league leader with 2.09 rejections per game. 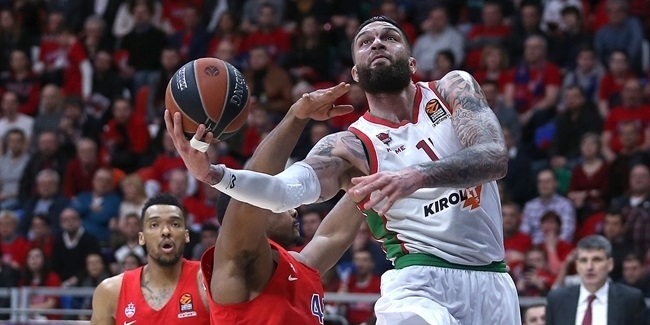 CSKA Moscow forward Viktor Khryapa, who is now the league’s top rebounder among active players in the Top 16 with 6.7 rebounds per game, had 10 points and 10 rebounds in a 57-75 win at Alba Berlin for the week’s lone double-double.